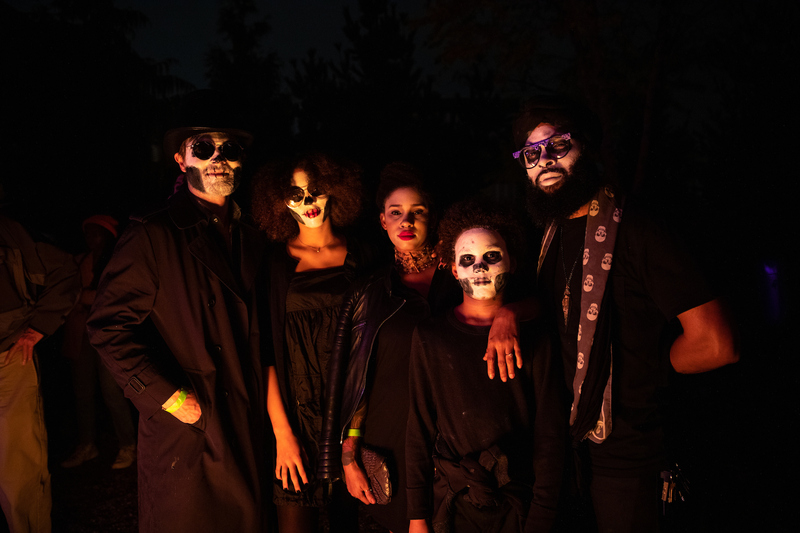 Fèt Gede, Haiti’s Day of the Dead, is typically celebrated during the first few days of November replete with altars, veves (ground drawings made to attract the gede), special food and drink offerings, and, most importantly, sacred dances and polyrhythmic drumming. 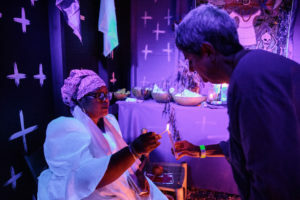 Every ritual performed and offering made during a gede fest is geared toward attracting the lwa (spirits) of people who have died to celebrate with their living descendants. 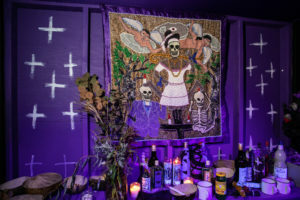 The rituals and offerings also honor particular lwa such as Papa Legba, Baron Samedi, and Mama Brigit to name only a few. 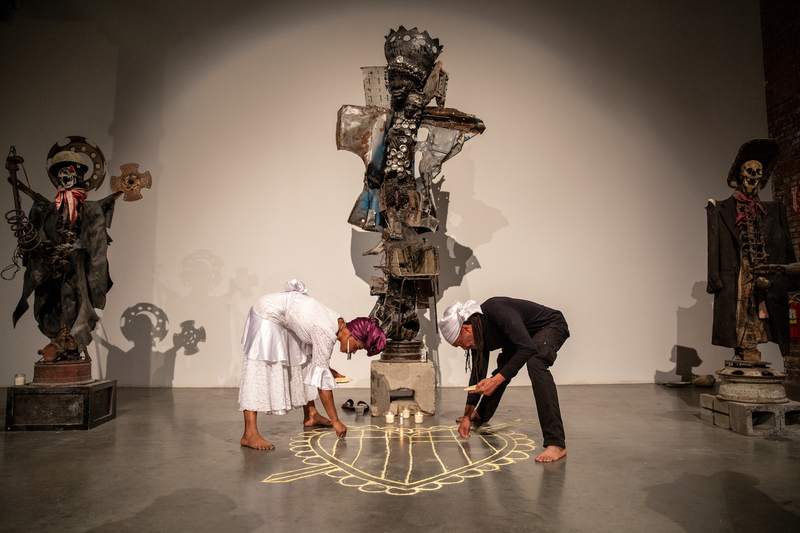 The Vodou-inspired artworks included in PÒTOPRENS highlight the extent to which the religious practice inspires and feeds Haiti’s artists. A gede fest further highlights this link between Vodou and art by activating the object’s divinity. The Pioneer Works Fèt Gede also includes live DJ sets by Val Inc. and DJ Sabine, a dance performance by Sheila Anozier, and a full ceremony. Starting at 10pm, the ceremony will be led by Jean-Daniel Lafontant and Manbo Florence Jean-Joseph. This program is co-curated with Haiti Cultural Exchange. Haiti Cultural Exchange was established to develop, present and promote the cultural expressions of the Haitian people. 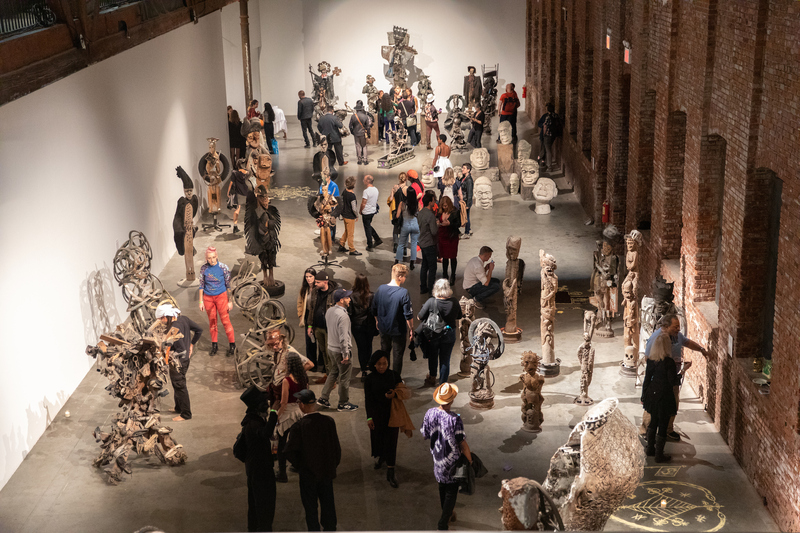 We seek to raise awareness of social issues and foster cultural understanding and appreciation through programs in the arts, education and public affairs. Sheila Anozier was born in New York, where she has lived most of her life, but it is Haiti she calls home. Her earliest memories are of Haiti where she lived with her grandmother and other family members until she was seven. 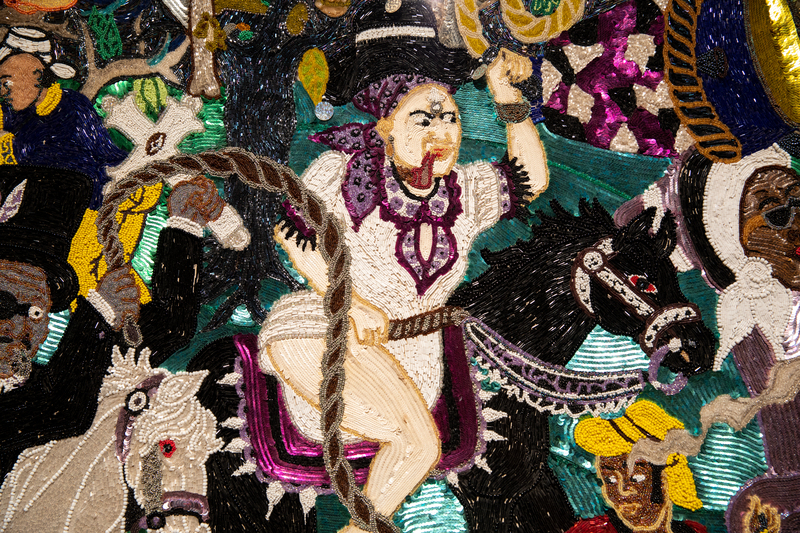 In Haiti, art is prevalent in everything as it is to Sheila Anozier. She began her formal training in dance at Long Island University where she met Ella Thompson Moore, an original member of The Alvin Ailey Dance Theatre. It was Ella who encouraged Anozier to keep dancing, which she did professionally even as she pursued a career in journalism. After 10 years on the editorial staff of The New York Times, she transitioned to a full-time professional dancer. Notable performances have taken her to venues and festivals across the United States and abroad. 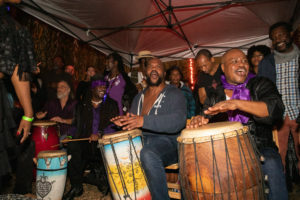 Anozier served as choreographer for Brave New World Repertory Theatre and performs with Bonga and The Vodou Drums of Haiti, Bethany and Rufus Roots Quartet, and the Pat Hall Dancers. She is creator and artistic director of Vwa Zansèt – a full length theatrical production based on folkloric and Vodou songs of Haiti. She is a teaching artist who has taught students of all ages nationally and internationally and is currently on faculty at Mark Morris Dance Center. 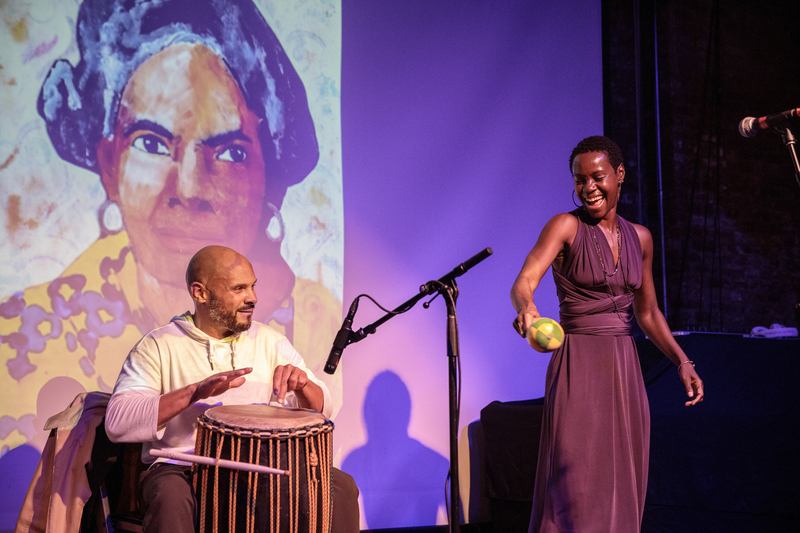 She is a recipient of the NYSCA Folk Art Apprenticeship Program (2017) working with eminent Haitian singer and folklorist Georges Vilson collecting and performing the music and stories of Haiti. She is also a visual artist who is currently illustrating her adaptations of Haitian folktales. 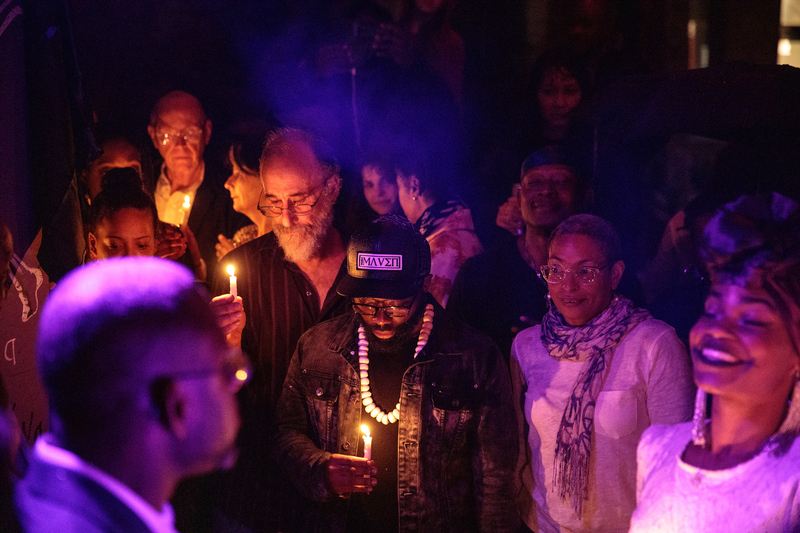 Haitian born, Brooklyn resident, and musical artist Val Jeanty blends vodou samples, chants, and inspirations with profoundly contemporary electronica to create a music that is both deeply rooted in Haitian cultural traditions and thrilling in its freshness. Electronic music composer/percussionist/turntablist, Jeanty evokes the musical esoteric realms of the creative subconscious. 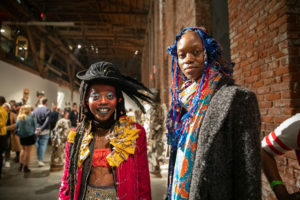 She incorporates her African Haitian Musical traditions into the present and beyond, combining acoustics with electronics and the archaic with the post-modern. Her “Afro-Electronica” installations have been showcased in New York City at the Whitney Museum, the Museum of Modern Art, the Brooklyn Academy of Music, the Village Vanguard and internationally at SaalFelden Music Festival in Austria, Stanser Musiktage in Switzerland, Jazz à la Villette in France, and the Biennale Di Venezia Museum in Italy. DJ Sabine’s work focuses on the exposure and pleasures of African diasporic music. Brooklyn Mecca, Rekòlte, and Oyasound are a few of her creative projects. Over the years, DJ Sabine’s mainstay and cultivation has been the monthly event Brooklyn Mecca which has been coined the home of “Grassroots Dance Culture.” Sabine worked for Ocha Records label as a Brand Marketing Director/Producer and Bembe NYC Party resident DJ. She is now the curator/resident DJ for NYC Le Bain’s Bonus Beats signature monthly party “Rekòlte” featuring the best of Haitian Roots and House music. Sabine is also a resident DJ for Fania Records’ Fania Collective. Oyasound EP is currently in the works. DJ Sabine spins Global Soul: House, Afrotech, Afrobeat, Haitian Roots and other diasporic tunes. She’s had the great opportunity to spin nationally in the US and internationally. 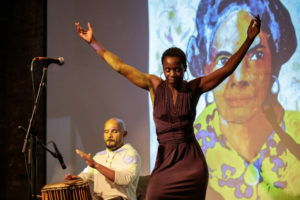 She sits on several panel discussions, DJs, and curates showcases for the world-renowned Caribbean Cultural Center African Diaspora Institute (CCCADI), highlighting the power of spirituality in the arts and has been honored as an emerging artist at the 27th Annual Women of Power Conference 2014: The Art of Being a Woman. Sabine made the Most Respected House DJ’s List of 2014 by Media Service NYC for recognized innovative DJ’s. 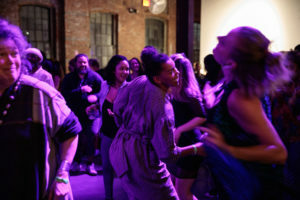 In June 2014, Sabine produced her first installment of her project Lakay Se Lakay: Home is Home, a Haitian electronic artists conversation series, No Passport (NYC Edition) party in conjunction with Haiti Cultural Exchange’s (HCX) first installment as a full-day conference in partnership with The New School in 2015, and the 3rd as a visual/sonic installment for HCX’s 2016 Lakou Nou Fellowship. Sabine was also featured DJ for the Smithsonian National Museum of African Art’s 50th Anniversary. 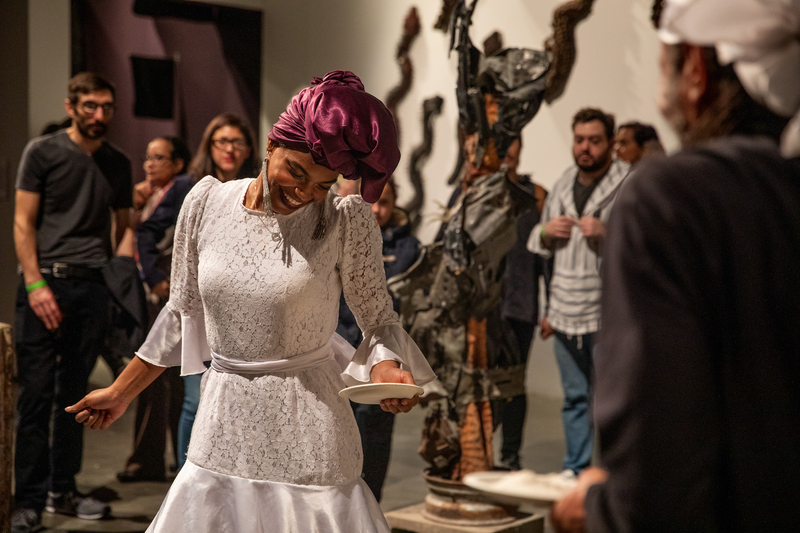 Sabine ultimately seeks to create new scholarship through the African and Haitian diasporic lens of music, culture, and spirituality. Jean-Daniel Lafontant is a Oungan (Vodou priest) and a founding member of Temple Na-Ri-VéH in Haiti. He is also the founder of ANAE (1987), a New York-based association specializing in the cultural promotion of Haitian art influenced by Vodou. He serves as a board member for Le Musée d’Art Haïtien and also as Executive Director of the Haitian Cultural Foundation. In the last 4 years he has produced and been featured in a handful of documentaries, articles, and publications on Vodou and the art and culture of Haiti, including the acclaimed documentary In the Eye of the Spiral and the CNN series The Believers. Lafontant is a U.S.-educated Communications and Financial professional who was very active in developing the credit card business of Haiti and later contributed in placing Western Union in the lead position of the remittance business in the country. A few months after Haiti’s devastating earthquake in 2010, he joined the humanitarian sector and served as Head of Communications for the Haitian Ministry of Foreign Affairs. 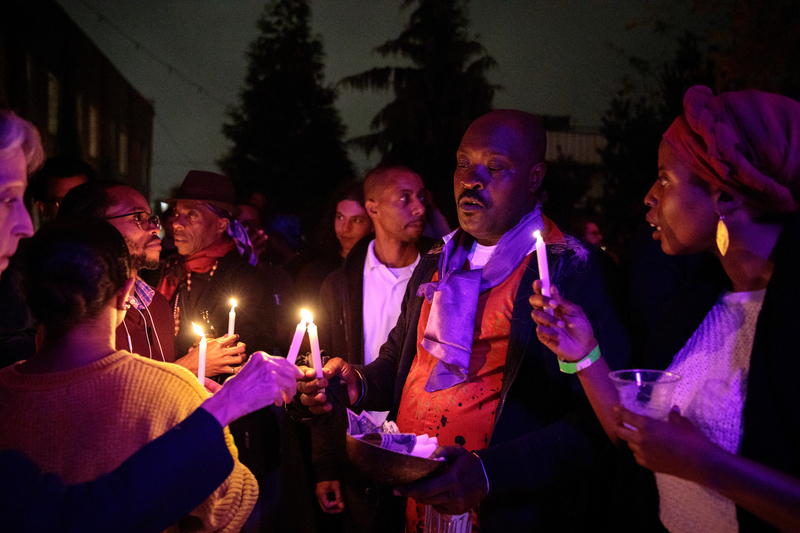 Through his work as a Spiritual Healer, diplomat, and cultural specialist, Lafontant has worked with diverse institutions promoting a global understanding of the multifaceted nation of Haiti and its diaspora. Florence D. Jean-Joseph is a manbo asongwe who was born and raised in Ayiti. She is the founding member of Le Temple D’Olohoum, Inc. and “Gwètò De Outremè” of “Konfederasyon Nasyonal Vodouyizan Ayisyen” for the State of New York. Manbo Florence attended and graduated from College Marie-Anne of the Sisters of St. Ann in 1975 and completed a Business Program at Christ the King “Bilingual” Business School, Port-au-Prince, Ayiti in 1978. Manbo Florence attended Queens College of the City of New York and completed a dual degree in Education and Computer Technology. In 1984 she completed a certification program in Accounting at Pace University, New York. 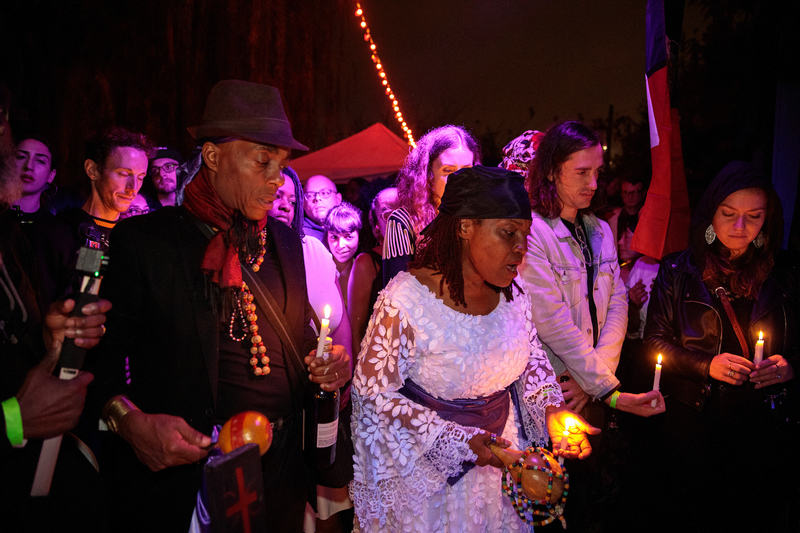 Manbo Florence is a member of Sosyete Vodou Miwa and an active member of Vaya Institute. She is currently serving as Secretary of GRAHN-World, USA Chapter.